In our farmhouse, we have transformed our old tobacco dryer to welcome you with serenity by the river. Gite for 4 people (+ children's supplements possible) with a beautiful living room, a wooden terrace overlooking the garden and an equipped kitchen, near with donkeys, sheep, ponies .... and a dip in the nature. 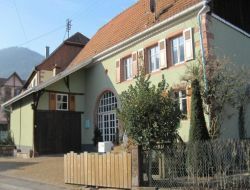 You will be ideally located in Alsace center, near Sélestat, equal distance from Strasbourg and Colmar. 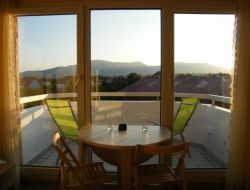 Holiday rental in the heart of Strasbourg. For two or four persons your accommodation 3* all comfort wait for you for your holidays. 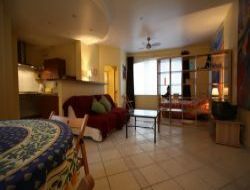 A big studio of 47m2 with all the conveniences. Tramway and car park are close to the accommodation. 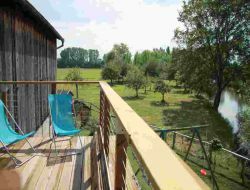 Our gite is on the floor of a large house belonging to the building of the vineyard. 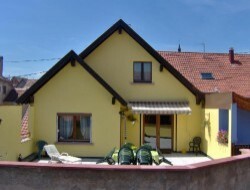 Cottage for 5 persons with large private terrace where you can spend pleasant evenings. Epfig is located in the central vineyards of Alsace, 30 km from Strasbourg and Colmar, 15 minutes from Mt St Odile. 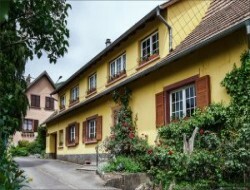 Rent for your holidays in Alsace: 2 studios (2 persons) situated in Obernai in a luxury residence, at walk distance from the historic city center. 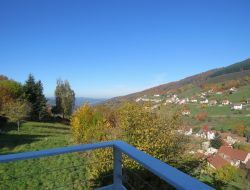 Holiday rental with terrace, panoramic sight on the Mont Sainte Odile.